This business center is a collaborative work space geared toward the small business owner. It offers work space and support for those who need a place to work, host meetings, network and learn. Join other entrepreneurs in a shared office that fosters growth and idea-sharing. It is the perfect option for ‘solo-preneurs’, those in need of a satellite office, professionals seeking an office or conference room for the day, and small business owners who need a mailing address that accepts packages and has someone to sign for them. The 2,500 sq ft of shared space includes reception area, conference rooms, kitchen, restrooms and open cafe-style seating area. Inspire70 Coworking offers a receptionist, administrative support, private offices, assigned cubicles, wi-fi open-seating, mail service, and conference rooms are available for rent. They go beyond just the work space; members can benefit from networking events & workshops designed to educate and support small business owners. Workshops and training cover many different topics; social media best practices, sales techniques, networking how-to’s, business coaching, HR support, and many others. 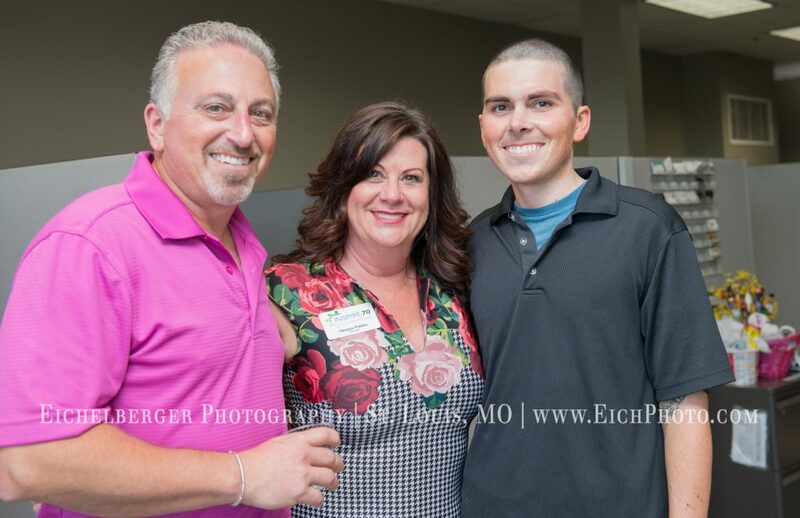 The owners of Inspire70 Coworking, Andy and Shanna Palans, have been residents & business owners in Western St. Charles County for more than 25 years. Andy was born and raised in St. Louis. He is a graduate of St. Louis College of Pharmacy and went to work with him father Sanford at Wharf Pharmacy right after completing his degree. When Sanford retired, Andy bought the Wharf Pharmacy. Over the years Wharf has grown & moved to include home medical equipment and compounding services, and has been at its present location for over 11 years. Shanna Palans is almost a St. Louis native also, having moved here when she was three. She graduated with a BS in Business & Marketing from UMSL. She left a career to be a stay at home and raise their children Cassidy & Austin. When the kids were older and in school, Shanna came to work with Andy at Wharf, handling the Marketing & PR, and becoming very involved with the local Chambers of Commerce. The Palans opened Pinot’s Palette Lake St. Louis, a paint-and-sip franchise, in 2016 in the Meadows shopping center. Their studio has 2 rooms and an in-studio bar serving wine, beer, sodas and teas. Seeing a need for affordable office space and meeting rooms, they designed and built Inspire 70 Coworking in 2017. This Is My Biz shined the spotlight on Inspire70 CoWorking when Shelley Barr had Shanna Palans in the Q Studio. 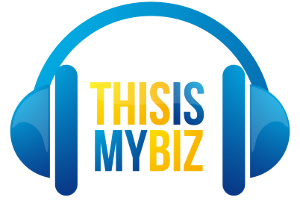 Below is the interview which was broadcast on KSLQ 104.5 [INSERT TIME & DATE HERE] on the “This is My Biz” radio show. 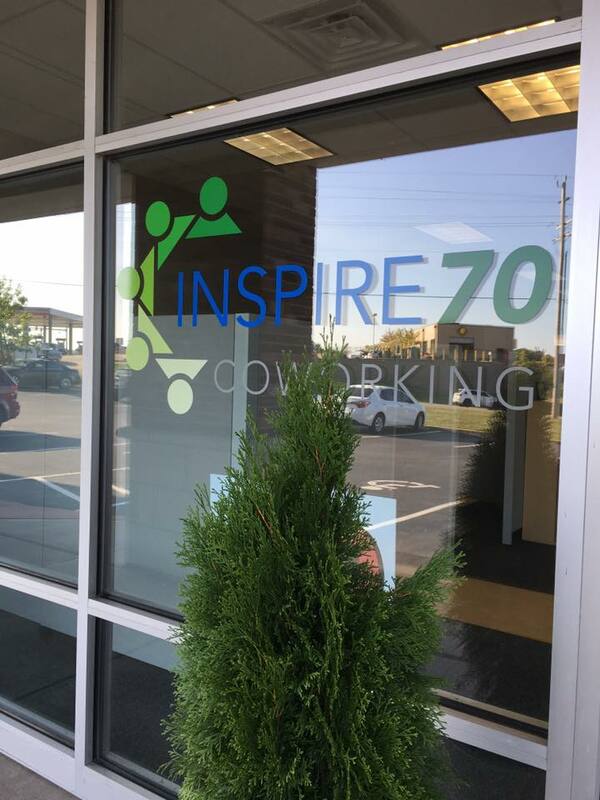 Inspire70 CoWorking is located on the NorthEast Corner of Lake St. Louis Boulevard and Highway 70 (next to the Wharf Pharmacy). The address is 2173 West Terra Lane, O’Fallon, Missouri 63366. See the google map below for directions and location.